When we started the Theotek Podcast last year, we never thought about the kind of episode we present to you this week. When I invited our guest, I never expected what this week’s show turned out to include. I’m glad it turned out like it did, with big thanks to Tuan Dam our guest who helped make this episode an inspiration. We welcome Tuan Dam of Cleanint, a company that started out making products to help hospitals overcome germs. This includes the Cleanpen and Clenstethoscope. They solve a key problem in medial places. Germs cause disease and anything we hold with our hands gets germs. Clean your pen and stethoscope and a lot of the disease-causing germs go away. The Cleanpen prevents germs in schools, hospitals, offices and anywhere that lots of people will use your pens. 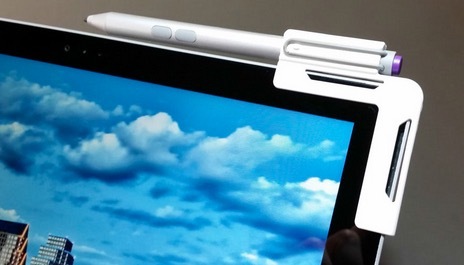 Tuan branched out into tech with the Cleanstylus, a holder for the Surface Pen that fastens to the Microsoft Surface Pro 3 and now the Microsoft Surface 3. That’s how I came in contact with him. He pitched the product to me for review at GottaBeMobile, and I agreed to take a look. I immediately loved it and included it in my list of the best accessories for the Surface Pro 3. They also make one for the iPad. It’s the best accessory for the Surface and Surface Pro 3 that I own, excluding the Surface Pen and the Type Cover. We didn’t know that Tuan Dam’s company’s began and exists with an incredible mission that’s more than making products for medical professionals and now educators (crumb munchers have germs too). Tuan leverages his company’s influence to change lives for the kingdom of God. He calls it Missional Business. I call it fulfilling the Great Commission the way Jesus intended. I hope you will watch or listen to the most electrifying episode of Theotek Podcast to date and support Cleaning for the kingdom and because it’s leader is a kingdom minded business man. The Cleanstylus for the Surface Pro 3 solves a big problem. It replaces the horrible pen loop Microsoft included in the package that comes off too easily. Our show also covered the release of Logos Cloud, a new subscription service that comes on the heels of Logos Now, which we covered in a previous episode. Read more about it in an article already posted. You can listen to the audio version of this week’s episode using the built-in player below, or by subscribing to it on iTunes or Stitcher radio. It also shows up in most mobile podcast listening apps.